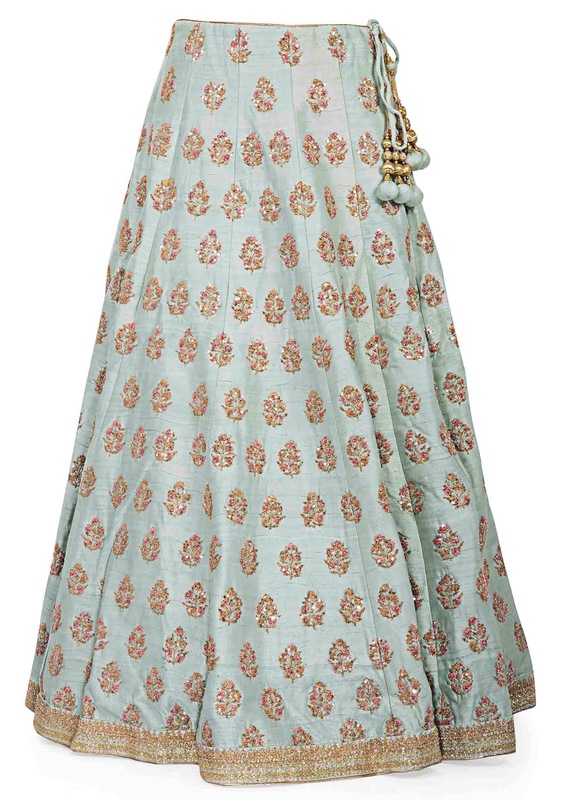 Radiate with a subtle opulence by wearing this sky blue lehenga and blouse ensemble. 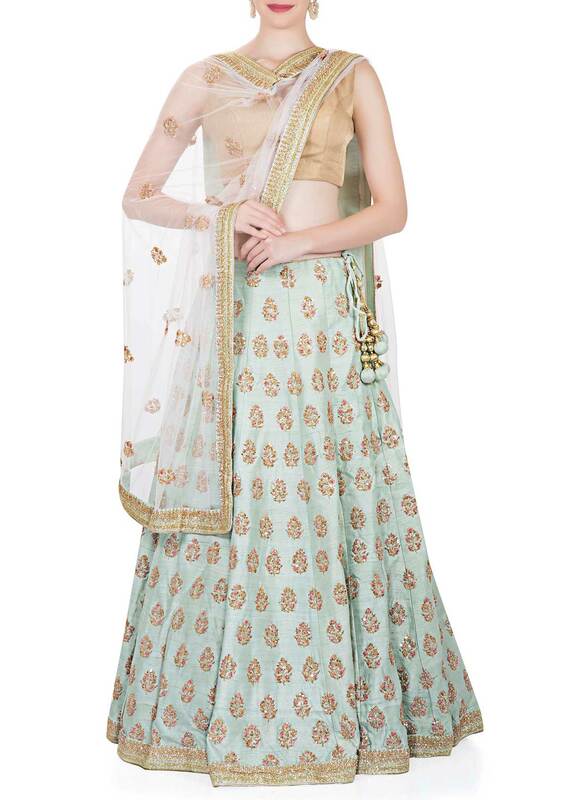 The silk lehenga and unstitched blouse are adorned with a plethora of floral motifs featuring resham embroidery and sequins. 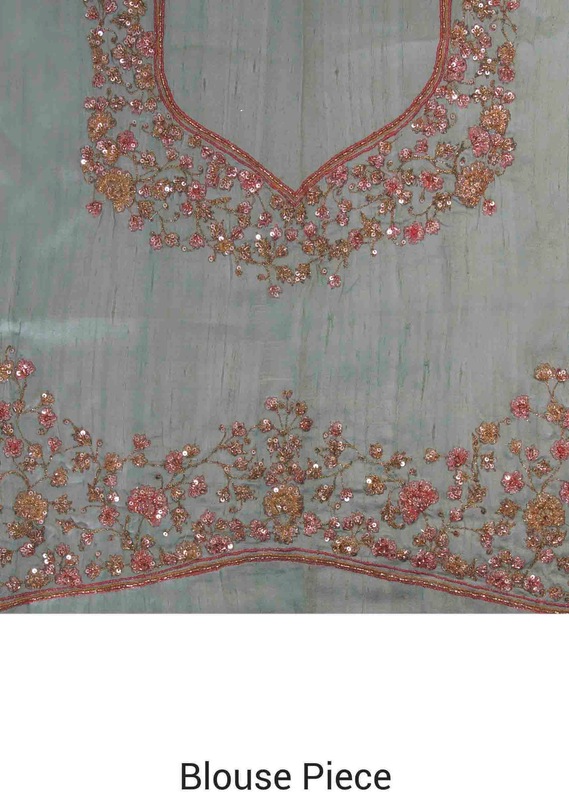 The pale purple net dupatta exhibits embroidered butti work. The tasseled drawstrings of the lehenga accentuate the ethnic touch.